We check over 450 stores daily and we last saw this product for $118 at Saks OFF 5TH. 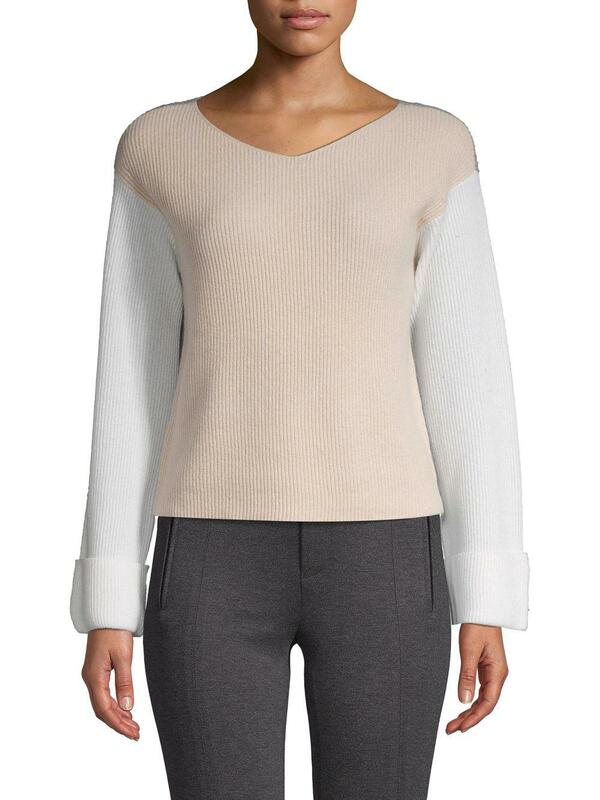 Essential cashmere jumper with colorblocked design. V-neck. Long sleeves. Dropped shoulders. Pullover style. Cashmere. Hand wash. SIZE & FIT. About 20.5" from shoulder to hem. Model shown is 5'10" (177cm) and wearing US size Small.